Gaming giant Valve acquires Impulsonic — a UNC-created 3-D sound simulation software company started by two PhD students and faculty within the Department of Computer Science. UNC-created Phonon is a sound software that allows gamers to hear realistic sounds in an accurate way. 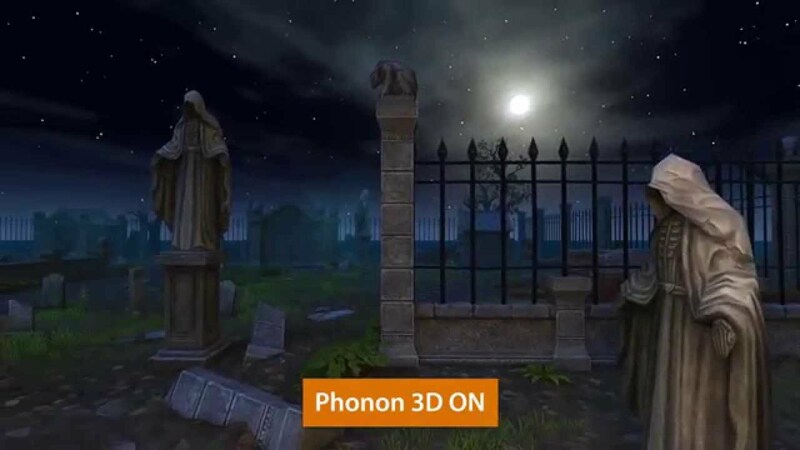 This video showcases the software's binaural audio rendering capabilities in a cemetery scene. Take a moment to focus on the sounds around you. Maybe you’re sitting at a desk and someone walks by in the hallway. Even though you can’t see them, you can hear their footsteps and can tell when they get closer, when they walk away, and that they’ve just passed by to your left. We take sound cues from our environment every moment of every day and rely on them much more than we consciously realize. Virtual reality (VR) and gaming researchers are studying how to replicate the paths sound takes before reaching our ears — they call it three-dimensional spatialized sound. In order for a virtual world to be truly immersive, the sounds in that world need to give us these cues. That’s what engineers of 3-D sound simulation hope to achieve. Besides VR, these sound propagation technologies are also used for evaluating the acoustic effects of architectural buildings and noise modeling in both indoor and outdoor environments. In 2011, PhD students Anish Chandak and Lakulish Antani approached computer science professors Ming Lin and Dinesh Manocha with the idea of using existing UNC technologies for physically based sound simulation to create a startup to develop sound simulation tools for different applications. This resulted in the formation of Impulsonic — a startup company supported by a Carolina Express License from the UNC Office of Commercialization and Economic Development, as well as strong backing from the Department of Computer Science, College of Arts & Sciences, and Launch Chapel Hill, a member of the Innovate Carolina network. The acquisition will provide a vast amount of resources to help the team further develop one of the best 3-D sound simulation solutions into an even better product. It also allows Valve’s enormous audience, with more than 125 million Steam users, to experience this incredibly realistic sound software. “This is a great mechanism to transition the ideas from university research into widely used commercial products,” Manocha says. In current games, sound is usually layered on top of the visuals and does not interact with the world on the screen. It’s similar to the soundtrack of a movie, which doesn’t change based on where the characters are in the film or what’s happening in it. Movies like “Apocalypse Now” and “Saving Private Ryan,” have attempted to change this by using stereo speaker systems that play sounds left or right, to make the viewer feel like they’re immersed in the movie. While that can be effective, 3-D audio does more than play sounds out of different speakers and actually manipulates sound waves so they act as they would in the real world. Before it reaches our ears, sound waves undergo a number of changes based on the environment, the position of the sound, the location of the listener, and even the shape of the listener’s head. Phonon uses several algorithms to manipulate sound sources before they reach the listener to reflect these changes. “In my office, there is a carpet and a wall,” Manocha describes. “Imagine if my floor was all concrete and my wall replaced by all glass. Do you know how my office would sound? There would be a lot of reverberation and less absorption.” Phonon can predict these sound effects without building the physical prototypes. “We are working with many engineering and architecture design firms to design better tools for acoustic evaluation,” Manocha adds. Three-dimensional sound researchers typically spend their time studying the shape of the listener’s head to determine how sound molds itself. To do this, they use a mathematical model called HRTF (head-related transfer function). This is part of a larger area of sound research called binaural rendering, which attempts to produce a form of surround sound that’s heard not only from the left and right sides of the body but also above and below. “If you are sitting to my left as I speak, some of my sound waves will go over what’s called line-of-sight sound to your left ear directly. Then, parts of those waves bend around your head and go into your right ear,” Manocha says, adding that the latter waves produce lower frequency sound effects. The human brain can process the differences between these sounds to figure out the exact direction of the original sound source. In the same way prescription glasses or fingerprints are specific to an individual, HRTF varies for each listener. The current solution in games and virtual reality is to use a generic HRTF, but this means some people will hear sounds more realistically than those whose HRTF does not match as closely to the generic one. Antani and Chandrak chose to work more on sound propagation because of the relative ease of getting a decently accurate HRTF. “Once you get the HRTF to a reasonable baseline, it becomes super important to make sure that any sound you hear is coherent with whatever you are seeing,” Antani says. Binaural rendering — and, by extension, Phonon — works best with headphones, because each side represents an ear in the sound simulation setup. With speakers, the sounds will play with the rendering, but the listener’s environment outside of the virtual world will affect how the sound reaches the ears and muddy the effect. Most virtual reality headsets come with headphones, so this is usually not an issue unless you’re listening to demos of binaurally rendered sound outside of VR. In parallel to the commercial developments at Impulsonic, Lin and Manocha have continued their research in sound synthesis and propagation with other undergraduate and graduate students at Carolina. Some of their recent graduates are currently working on sound simulation research and commercial products at other leading companies such as Oculus/Facebook, Microsoft, and Google. Anish Chandak received his PhD in computer science from UNC in 2011. He was the CEO of UNC startup Impulsonic, which was acquired by Valve in 2017. He began his role as senior engineer at Valve in January 2017. Lakulish Antani received his PhD in computer science from UNC in 2013. He was the vice president of engineering for UNC startup Impulsonic and began his role as virtual reality audio engineer at Valve in November 2016. Ming Lin is the John R. & Louise S. Parker Distinguished Professor of computer science at UNC and one of the co-leaders of the GAMMA research group. Dinesh Manocha is a Phi Delta Theta/Mason Distinguished Professor of computer science at UNC and one of the co-leaders of the GAMMA research group. The Vice Chancellor’s Office for Innovation, Entrepreneurship and Economic Development is led by Judith Cone, who came to UNC in 2010 after 15 years as a senior executive at the Kauffman Foundation. The office works to strengthen a collaborative and supportive ecosystem for innovation and entrepreneurship collectively referred to as Innovate Carolina. It connects resources, people, and programs with existing and emerging opportunities. Impulsonic received funding from the National Science Foundation, the U.S. Army Research Office, and NC IDEA — and also supported the research at UNC via small business grants. Other supporters of sound simulation research within the UNC Computer Science Department include Intel, Microsoft, NVIDIA, and Link Foundation. More details of this research can be found here.